Chinese company Xiaomi emerges with an extension to the Digital India venture. 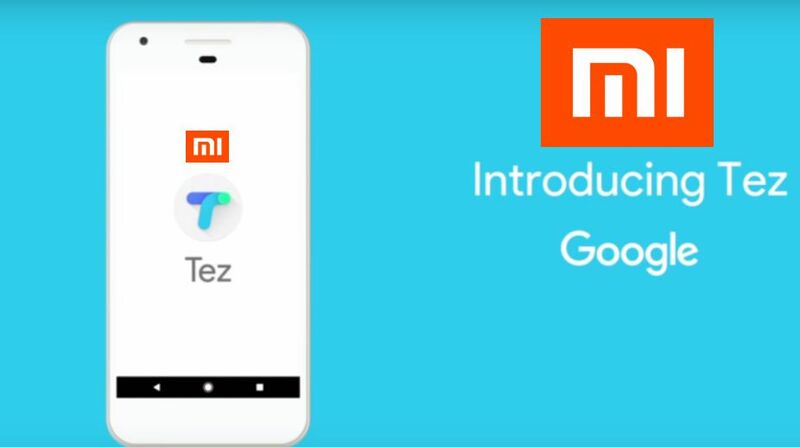 Xiaomi users can now make cashless payment via Google’s Tez mobile payments app. Xiaomi’s e-commerce platform Mi.com and Mi Store app will provide a new option to undertake payments using Tez Unified Payments Interface (UPI) IDs. Clients are qualified to make payments online, straight from their bank accounts. The move is regarded as the company’s contribution towards the Digitial India endeavour. Google Tez, the UPI-based digital payment app for India was launched back in September, and is thriving with a record of over 140 million transactions processed since then. Earlier this month, Google revealed that the app had come across 12 million active users in the country. “We are delighted to bring a seamless mobile web payment experience through Tez to Xiaomi customers on Mi.com. As a merchant partner for the Tez for Business Program, all Xiaomi customers can now seamlessly and securely pay with any bank account stored in their Tez account on their phone,” said Sujith Narayanan, Head of Partnerships and Business Development for Tez, on the prospects of the new integration. Statement from Xiaomi said that Mi.com receives over 21 million visitors in a month, and entertains over a million active users every day. Furthermore, Mi Store app marks 20 million app installs with more than six million organic downloads on Google Play. With this statistics at hand, the integration is expected to hike up the expanse of Tez’sconsumer range. Besides, Xiaomi also aims to steer their customers into using its e-commerce platforms rather than resorting to other leading ones such as Amazon and Flipkart. “Our vision is to bring innovation to everyone and our integration with Tez is another step forward in this direction. We hope to provide an even better purchasing experience that is cashless,” noted Raghu Reddy, Head, Online Sales, Xiaomi India in the statement. Google Tez app comes in English and seven Indian languages and is compatible with a wide share of the country’s smartphones.